Love it, any chance of a white one please? can you share the wooden background image of this screenshot? Is it fine if I post it here in DeviantArt? 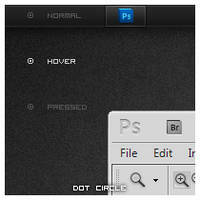 Finally an orb made only for the small taskbar. Thank you sooo much! Thank you, guy! it's very nice! It's so popular, I see a lot of peeps using it! 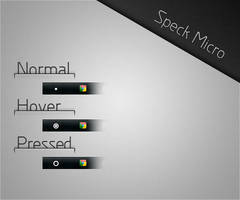 can U make it for bottom taskbar?? 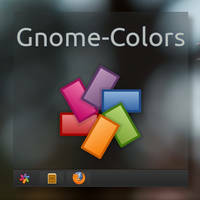 Is it possible to get it for big taskbar too? does this come with a png? 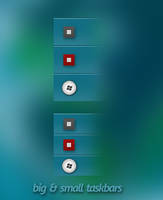 I love this Start button set. It fits perfectly with the Chiaro dock! i downloaded this and for some reason the ribbon always goes behind like doesn't hang all the way it just gets cut-offed HELP! 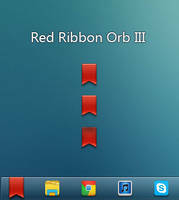 I have changed my orb to the red ribbon but everytime i start my computer it has a different orb? I always have to change it, how come? 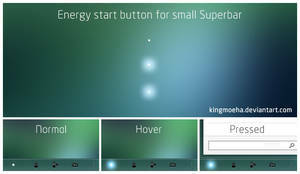 what program are you using to change orb? which version of your windows? has service pack installed? some updates can restore the orb back to windows default! 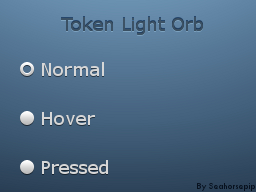 I've used Windows 7 Orb Changer to change my orb. I'm using Windows 7 Home Premium. I do not have any service packs installed as far as i know. 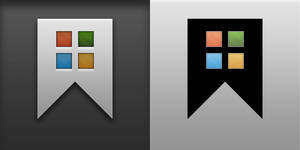 I use TuneUp Utilities 2011 that sometimes change my orb when i change my visual style. This for bottom taskbar :3? Thanks so much. Damn u r efficient!!! can u make one without the apple logo?..appreciate tat!